The online portal called Handball-Coach offers more than 1000 handball exercises and practice units created by experts. The portal has been able to win 90 subscription users after just two months. The innovative platform is a joint project of two partners that complement each other perfectly. November 2018. 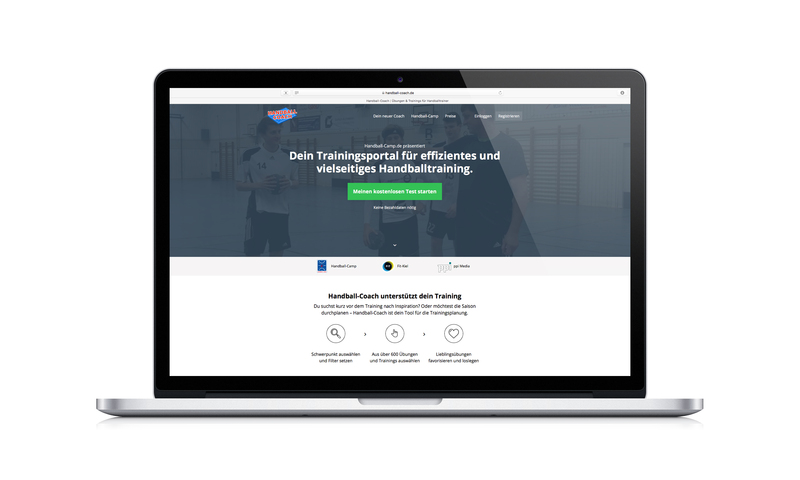 The Handball-Coach portal is aimed primarily at players in amateur sports and is the first digital platform for enthusiastic coaches who want to bring more variety to their training sessions. By now, they can choose from more than 1000 exercises and training units created by experts, which are also available on the go. “Interested coaches get instant access to roughly 200 exercises for free, and coaches and clubs get to use the full version for a small monthly fee”, explains Olaf Schuldt, project manager at ppi Media. This concept pays off: just two months after the start of the portal, numerous coaches and clubs are already using the system. Almost 300 users have chosen the freemium access option, and this number is steadily rising. The portal provider aims to double the number of premium customers by the end of the 18/19 season. Two companies are responsible for the professional content of Handball-Coach: FIT, athletics partner of the youth section of the THW Kiel handball club, and the Kiel-based agency CommEvent, which runs successful handball camps. Mannhard Bech, former national player and initiator of both the handball camps and the Coach portal, says: “We created Handball-Coach as an innovative way to prepare training sessions with a high feel-good factor for coaches of amateur youth teams.” The platform to monetarize the content on Handball-Coach was developed within a very short time using lean startup methods and based on Amazon Web Services. Responsible for the development is ppi Media’s business innovation department. In addition to the IT implementation, ppi Media also ran the entire online marketing campaign for the project. The ideal mix of social media activities and advertisements, together with the continuous optimization of the landing page helped grow the audience by 300 per cent within the first few months. This underscores ppi Media’s competence in these fields whilst cementing its own digital transformation.